Conductor: Grammy Award-winning Jeff Von Der Schmidt. Seats are reserved by contacts bellow and they are FREE of charged. PhạmTrườngSơn, violin 1-VũThịKhánhLinh, violin 2-KhúcVănKhoa, viola – ĐàoTuyếtTrinh,cello – LữMạnhCường, Gõ. In 1969 the work of “Fire Rings” at the International Festival of Modern Art Royan, Nguyen Thien Dao is a Vietnamese name emerged as a phenomenon in the academic world. 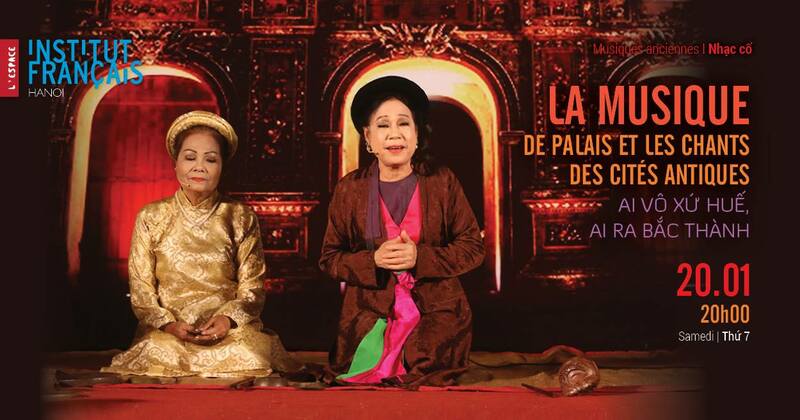 The work is epic about the fierce struggle of the Vietnamese people. “Cha^m” được sáng tác vào năm 2001 khi Vu Nhat Tan đang học sáng tác và âm nhạc điện tử tại Hochshulefuer Music Cologne, Đức. Tan được truyền cảm hứng bởi sự pha trộn giữa 2 yếu tố: âm nhạc điện tử và Âm nhạc cổ truyền Việt Nam. Tác phẩm Châm chính là kết quả pha trộn giữa 2 yếu tố này. “Cha^m” was composed in 2001 when Vu Nhat Tan was studying composition and electronic music at Hochshulefuer Music, Cologne, Germany. 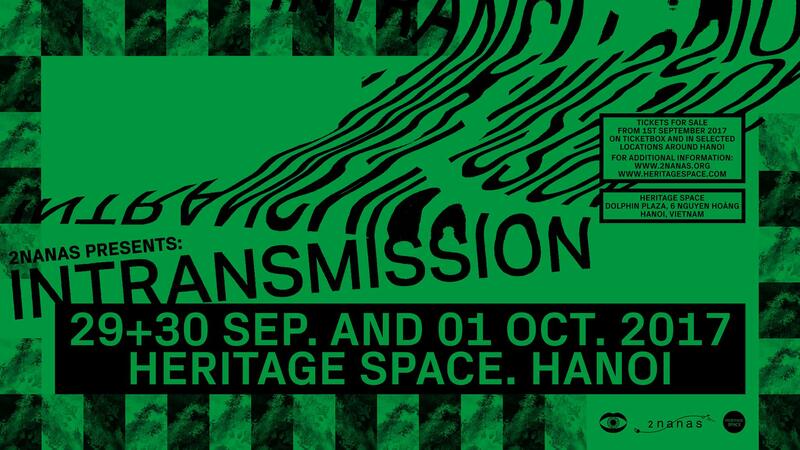 Tan is inspired by a mixture of two elements: electronic music and Vietnamesetraditional music. The composition is the result of these two elements. “Rise and Fall” depicts a journey from a downfall to the process of rebuilding to rise again. Any downfall or failure tends to collapse quickly as it is constituted of factors, may it be personal or external that piles up overtime before reaching a limit. The piece starts first with the result that rapidly occurs due to past events and then is followed by causation, instead of the more typical cause-and-effect model. Therefore, what happens before the downfall and after the rebuilding stage is left unknown, leaving a sense of the music being unfinished and cyclical. The original idea and instrumentation have been thought to write for the Hanoi New Music Ensemble. 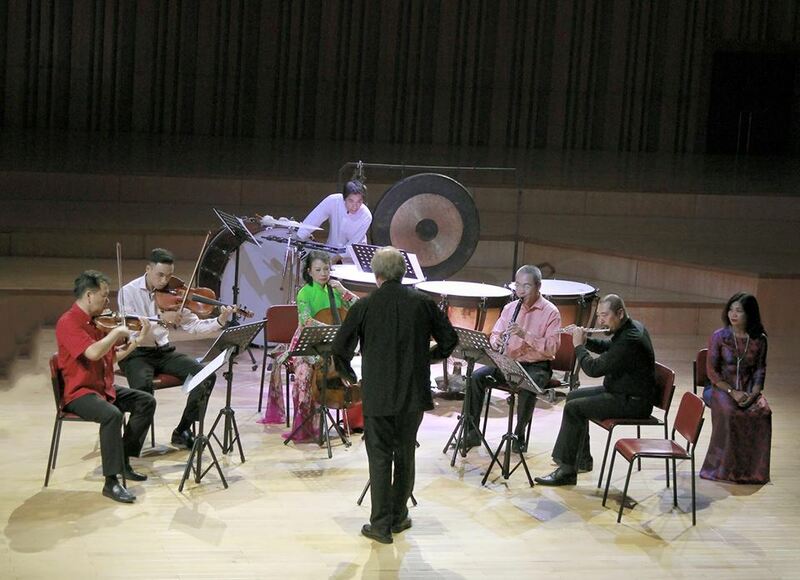 is the first professional contemporary music ensemble in Vietnam. It’s mission is to present the finest Vietnamese new music throughout Vietnam and represent Vietnam to international audiences. Composer and artistic director Vu Nhat Tan, and Pham Truong Son, violinist and executive director, founded the Ensemble in 2015 after Tan’s participation in the 2010 Ascending Dragon Cultural Exchange and Music Festival, the largest cultural exchange in history between the United States and Vietnam. Southwest Chamber Music (Los Angeles) produced the exchange with the support of the U.S. Department of State. 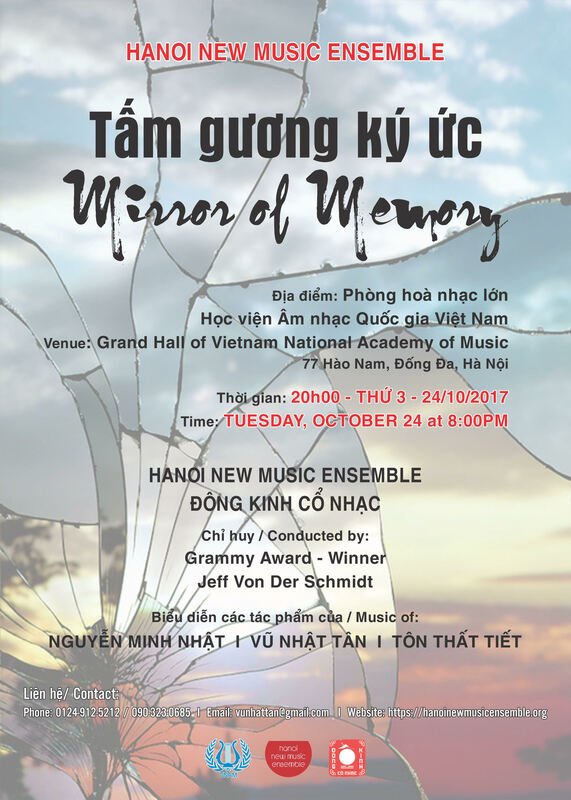 In 2015, Southwest Chamber Music’s artistic director and conductor Jeff von der Schmidt, and executive director Jan Karlin, were appointed by Vietnam’s Ministry of Culture to become the first American artistic advisors to Vietnam and the Hanoi New Music Ensemble. 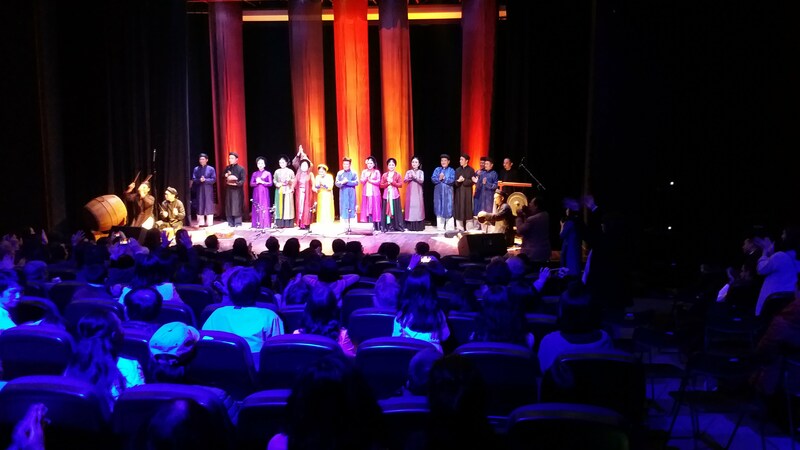 The Hanoi New Music Ensemble performs in Hanoi at the Vietnam National Academy of Music, Manzi Art Space, InstitutFrançais de Hanoi – L’Espace, and the Goethe Institute. 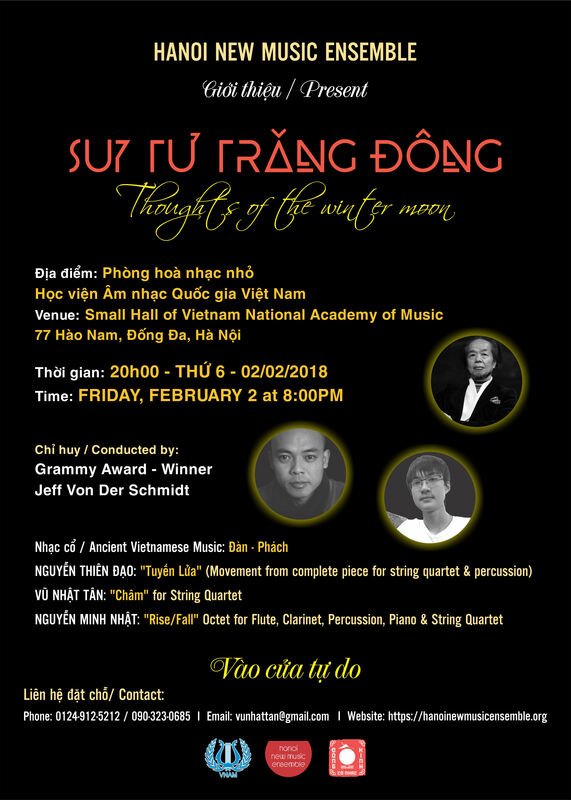 The members of the ensemble are amongst the nation’s finest professional musicians and teachers, serving as professors at the Vietnam National Academy of Music and also performing with the Vietnam National Symphony Orchestra.